Back pain, sciatica, herniated disc... More than 70% of the people suffer from back problems. This may be due to a herniated disc (hernia) that is characterized by an intense pain in the lower back, buttocks and sometimes along the leg. In this case, is it advisable to do sports? Does stationary bike riding help prevent back pain and hernia? 1. What is exactly a hernia or a herniated disc? Hernia usually appears between 30 and 50. It is estimated that 3% of women and 5% of men suffer from herniated disc. The most common symptom of hernia is sciatica, which is an intense pain in the lower back, buttocks and along the leg, sometimes causing difficulties in walking. What is the cause of hernia? The intervertebral discs, which are like small "cushions" located between the vertebrae of the spine, act as shock absorbers and aim to protect the spine from shocks. With age, because of an abrupt effort in a bad position or the wearing of a heavy load, or in case of obesity, these discs can be damaged and cause pain, that is what a hernia or a herniated disc is. WHAT YOU SHOULD KNOW. 70% of the people have back problems. About 3% of women and 5% of men over the age of 35 have had sciatica. Hernia is not a fatality! It is possible and even strongly recommended to act against it. Indeed, if you suffer from a herniated disc and do not change your (bad) habits, which are often the cause of your back problems, your back pain will very likely reappear sooner or later. So what should you do to prevent hernia and back pain? 2. What to do against hernia, sciatica and back pain? How to prevent it? Back problems as well as pain caused by hernia (sciatica) can be recurring and come back if nothing is done against it! For this reason, it is important to have a good position of your back in everyday life and to muscle your back in order to relieve your spine in a durable way. - Avoid bad postures! Keep your back straight and shoulders back. Get used to never bending forward when you bend down. Bend your knees and not your back! - Do not sit too long. The spine experiences a 40% higher pressure when seating than when we are standing. When sitting, maintain a good posture of your back: well seated in your chair, seat at the correct height, keep your back straight and do not bend forward. - Once the pain disappears, with the agreement of your doctor, you will be able to resume a physical activity that will strengthen your back, abdominal and leg muscles: swimming (backstroke), active walking and exercise bike. It is important to resume sports smoothly and gradually after suffering from a herniated disc. Regular physical activity allows you to strengthen your muscles (abdominal and back) and is the best sustainable prevention against back problems! - Finally, losing a few pounds can only be beneficial because overweight is one of the causes of herniated disc. PREVENTION. After having suffered from a sciatica or herniated disc, do not abandon sports! Once the pain has passed, resume sports smoothly. Sport is the best prevention against back pain! 3. 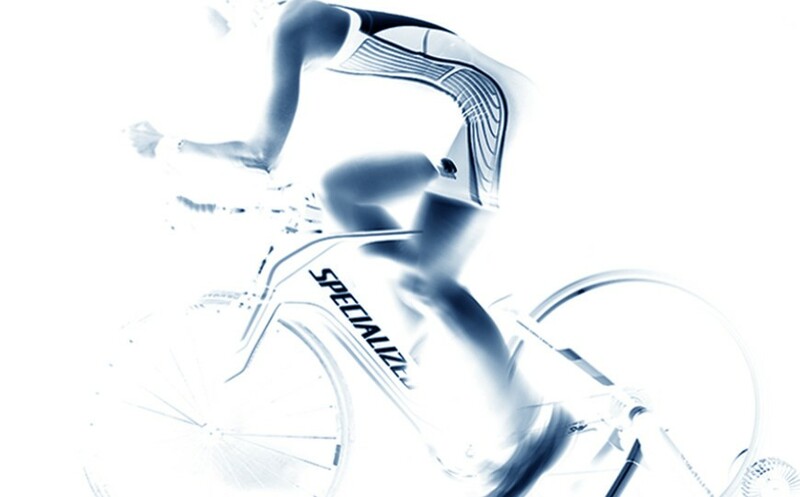 Does stationary bike riding help prevent hernia and sciatica? Sports that involve identical, controlled and smooth movements, such as the exercise bike, nordic walking or swimming, especially backstroke, are strongly advised and particularly beneficial for the back. The stationary bike is preferable to road biking which involves vibrations and possible jerks. You should however make sure to have the right position on your exercise bike! Keep your back straight, the saddle at the right level so that your knees are slightly bent when the pedal is at the bottom and hands well resting on the handlebars. Do not bend your back when leaning forward! CAREFUL! In case of acute pain, immediately stop your training or physical activity. Pain is a kind of warning from your body that something is going wrong! 4. What sports and physical activities should you avoid? Especially in the first months, when you suffer from a herniated disc, you should avoid collective sports such as tennis or soccer that can cause sudden movements of the back and urge the spine. Also physical activities that require wearing heavy loads such as body building or weightlifting should be avoided. 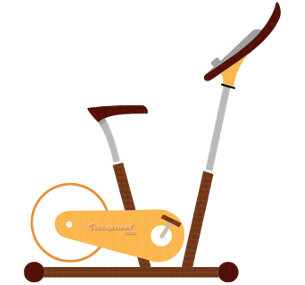 Is the elliptical bike advisable? The elliptical bike is not recommended because it forces you to bend forward and slightly twist your spine due to the alternate arm movements, which could increase your herniated disc. This is therefore not ideal for your back! Instead, prefer the stationary bike. In conclusion, sports and physical activity are the best prevention against back pain! Back problems are often recurrent and tend to increase with age. Back pain is more common among people who do not exercise or have little physical activity and also among those who have to carry heavy objects on a daily basis. Regular physical activity and sports will strengthen your back muscles and permanently relieve your hernia, sciatica and back pain! We would recommend the DKN AM-3i stationary bike with a soft saddle and the possibility to adjust the seat horizontally and vertically in order to find the right position for your back. N.B. The information contained in this article should not be used as a substitute for a medical consultation with a health professional. The problems of back, sciatica and herniated discs are complex and can vary from one individual to another. - Avoid the sitting position too long and if you cannot avoid it, get up from time to time, walk a little and do some exercises. - Resume sport as soon as your pain is gone! The exercise bike allows you to muscle legs and glutes, which has a beneficial effect for your back. - Make sure to sleep in a good position and on a good mattress (not too old)! - If you have to pick up an object, do not bend, just flex the knees keeping your back straight.